HOME » Luxury Airlines & Cruises Tours, Luxury Hotels » What is TBEX – Travel Blog Exchange? (2) What was your experience attending TBEX? (3) Is it worth going? TBEX stands for Travel Blog Exchange and it started at the TBEX Chicago conference before becoming an online community for travel bloggers. A travel blogger is a new concept, it’s people who blog about their travels for some combination of fun, fortune, and fame. For the destinations, it’s a new media type of PR. In the old world, destinations (i.e. hotels, museums, cruise lines, local tourist promotion boards) use to educate and cultivate relations with travel agents and travel writers from magazines as a way to get the word out. As travel agents and magazines are generally on the downswing, one of the new media that is taking their place to inform potential travelers is the online blogging company along with their social media. What was your experience attending TBEX? 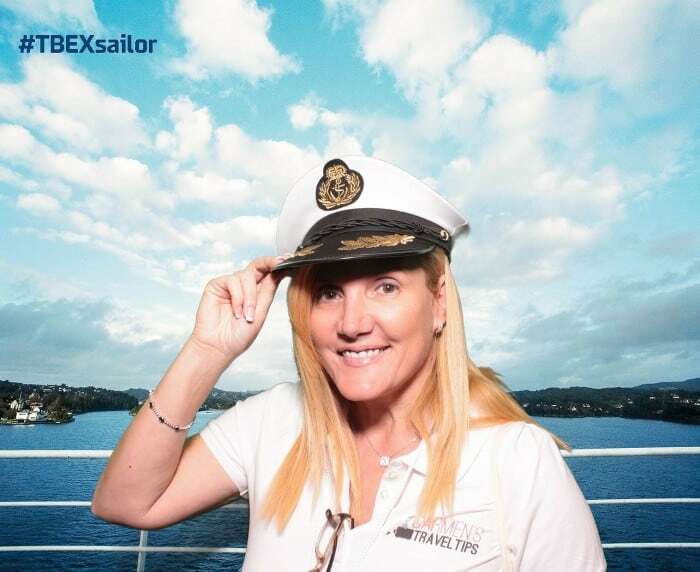 A few months ago when they announced that TBEX North America was going to be in Cancun this year and TBEX Europe in Athens, I was ecstatic with excitement. At the same time, I was a little nervous about the whole experience. See, I was at the time a “Newbie, what we call first timers bloggers attending the conference. I had heard from fellow bloggers that had attended previous conferences that I should go. So I went onto the TBEX website and registered for the conferences. TBEX works with some of the local hotels in the destination to provide to fellow bloggers hotels at a discounted rate. This information can be found under the “Attendees” tab in the TBEX website. They also offer pre/post tours for bloggers and their families. These are a great way to see some of the sights and also socialize with other bloggers who are in your group. In some cases you are required to “Apply” for the trips. Travel Blogger Exchange will send you notification if you are selected to attend. The only issue with these types of trips is that they wait till the last minute to let you know if you were selected. If you don’t receive an email that means you weren’t selected. We run into that same problem in my trip to TBEX Athens. We had booked all our flights and hotel accommodations by the time I was notified that I was one of the lucky ones to be selected for a post trip. As much as I would have enjoyed going, it would of cost me a fortune to change all of our flights. 1) Order Business Cards (a least 500 minimum) – you will be handing out business cards to fellow bloggers, PR personal, tourist operators and sponsors throughout the trip. You don’t want to run out of cards. Or forget your business cards like I did in Athens. I had to find a local printing store and have them print out a few hundred cards for me. 2) Media Kit – a media kit is like a resume and it contains your site traffic, social media numbers, demographics and your pitch. I’ll admit that I was self conscious of how to prepare myself so I paid a consultant to help me pull mine together. 3) Order T-shirts or Polo Shirts with your logo on them. This is not at all mandatory but it worked well for me. In a group of 1000, you want to stand out. I ordered polo shirts with my logo on them and people recognized me by my shirt. It’s a great conversation started and also makes you look professionally branded. 4) BloggerBridge.com – Set up an account on BloggerBridge. It’s a website that helps connect companies with relevant bloggers, writers, podcasters, videographers and other content creators. It is also used to set up your “Speed Networking” appointments before attending the conference. I use it as well as a calendar to let people know when I’m traveling that I’m in their area. The power of Social Media: On my flight to Cancun, flying out of Fort Lauderdale on JetBlue, I took a few pictures of the plane and posted them to Instagram. As I sat in row five, I continued to go through other Instagram pictures. I saw that “TravelShopGirl” had posted a picture of the flight similar to mine. I realized that she was on the same plane I was on. I left her a comment on her Instagram picture, saying “It seems we are both on the same flight, what row are you sitting in”. She responded row five. I turned to my left and we looked at each other and laughed. That’s how I met Marian of “Travel Shop Girl“. We spend the majority of TBEX Cancun together. At our grand opening party, I got on a bus and sat next to another blogger by the name of Kim of “Vanilla Sky Dreaming“. We both hit it off right away and spend the evening chatting up a storm. SJ from “Chasing The Donkey” and I have known each other through social media as well. It was great meeting her face to face as well in TBEX Athens. All of these ladies where only Facebook, Instagram and Twitter follower friends until we met at TBEX. The answer is “YES”. Not only do you get to meet people of all ages who focus on all types of travel. They are a very diverse group of people all under one roof. You get to spend time with brands, tourist boards and sponsors who are looking to work with bloggers like ourselves. You get to build relationships with people that you wouldn’t of otherwise gotten to met in person. I’m looking forward to going to TBEX Costa Brava next year! Thanks for explaining what TBEX is all about! I’m still not quite sure if it would make sense for us to go any time soon, since we just started blogging about our travels, but I’ll keep it in mind for the future. If anything, as you said, it would be fun to meet other people who love traveling, and do some sightseeing on the side as well. Hi Jolanta, A walked away with a lot of useful tips and knowledge from my first conference, which I implemented as soon as I returned from my trip. As I mentioned, it’s also a great way to make friends with other bloggers in the community. This is amazing! It is a good opportunity for You and your blog. Order T-shirts is a great idea, You look more profesional. Thanks Vicky! It was great getting together with other bloggers and socializing with them on a one to one basis.